A sleeper agent in Moscow requests an urgent meeting with Dan Forrester, referencing their shared past. His amnesia means he has no idea who he can trust. 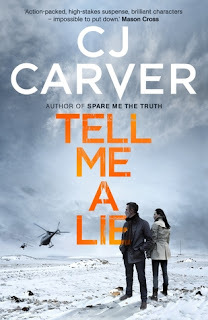 After reading Carver’s Spare Me the Truth, I was really looking forward to the second in her Dan Forrester series. 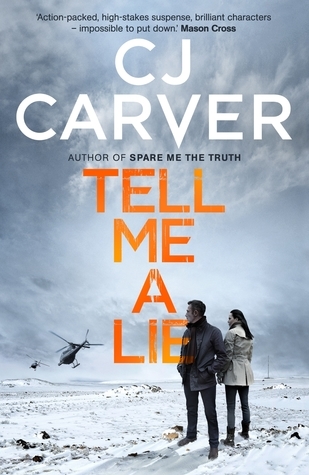 And for brilliant plotting and a full on adrenalin read, Tell Me A Lie didn’t disappoint. There is one coincidence the size of Russia in the plot, one which I found myself trying to rationalise throughout most of the novel. But that aside, it is a great yarn, and the interesting characters from the first installment are all back. Dan Forrester is still suffering from his patchy amnesia, but he now knows he was a spy, and has remembered some of his craft. He is working for a ‘global political analyst specialist service’, and travels to Russia when a previous espionage contact says they have vital information, but will only speak with him. Meanwhile, the wonderful synesthetic PC Lucy Davies is also back and as irrepressible as ever, as is her slavishly devoted soon to be future boss DI Faris MacDonald. Lucy gets called into what appears to be a cut and dried case of familicide – but is not so sure the prime suspect is guilty. Lucy starts to put a few random cases together, and that suggests a much bigger disaster is unfolding. Meanwhile we get to learn more about Dan’s wife Jenny, their young daughter, Aimee, and Poppy the RSPCA re-homed Rottweiler. All the above become embroiled in a conspiracy that goes back to the horrors of Stalinist Russia, and which has spread across the globe. It involves sadistic Russian oligarchs, beautiful women trying to do the right thing, feisty women trying to save their own lives and the lives of others, and lots and lots of danger. And if you buy into the logic of the conspiracy, there are intriguing future possibilities which emerge at the end of the novel. So roll on number three in the series!